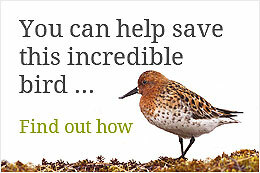 Saving the Spoon Billed Sandpiper » Slimbridge Spoonies: New Year, New Hope. Preparations for next season are well underway! 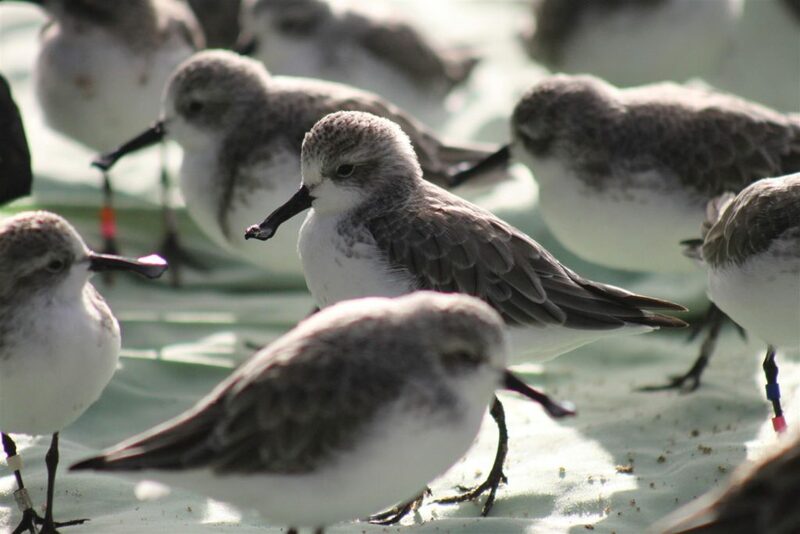 Here’s a brief summary of what the Spoonies have been up to post breeding season. Since our last update in July the captive Spoonies (and the team) have been very busy indeed. Once it was established the breeding season was over the birds were put back together as a flock, a stirring of Spoonies if you will! Shortly after, they began their steady moult into winter plumage. During this time the team got together with experts from far and wide to review the season and plan for next year. As has previously been mentioned the loss of the breeding males last year was a massive blow to the group dynamics and the females they were paired with. The pecking order is now being re-established and all birds are getting on well together. It has been decided that pairing the birds and moving them to their breeding aviaries earlier would give them a longer period to bond and become more familiar with their surroundings. And with a bit of luck the breeding females will take more of a fancy to their new mates! Soaking up some winter sun. Photo by Jodie Clements. Last year Britain boasted a particularly hot summer. In contrast, at the same time of year, wild Spoon-billed Sandpipers are greeted by snowy scenes as they arrive at the breeding grounds. 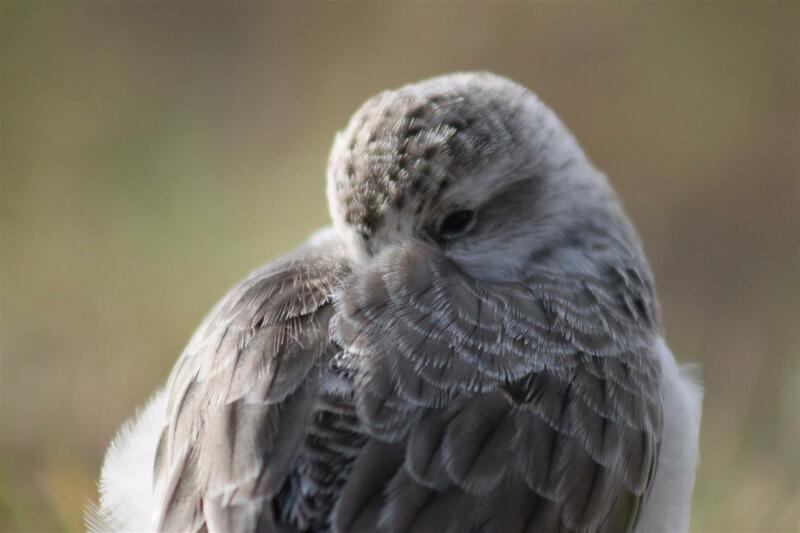 To avoid the Spoonies having to breed in high temperatures it was decided to artificially bring the breeding season forward by altering their photoperiod. This means that they will experience day lengths that will trigger breeding behaviours to occur in the cooler months of April/May instead of the heat that comes in June/July. In addition to altering the photoperiod we have installed ultra-violet lights. These become very important during our cloudy winter months as wild Spoonies winter on the sunny coasts of Myanmar and Bangladesh. UV light aids with calcium absorption, important for egg production, and sight as birds see a broader spectrum of colour than humans do. Snoozing Spoonie. Photo by Jodie Clements. While the Spoonies go about their business the team are working hard to maintain the facility here at Slimbridge, replacing netting and refurbishing aviaries, ready for the early 2018 breeding season. Blogs to look forward to! What’s so Special about UV? Thank you for the update and the continued reevaluations of circumstances and conditions that hopefully could lead to sucessful breeding at Slimbridge. Keep up the good work! This is amazing guys. Thank you so very much for the update and how clever of you all to realise that the lack of UV and therefore calcium absorbtion in the UK winters could account for the eggs not being strong enough in the past. I think you are brilliant to have worked this out and MUCH look forward to getting your next 4 updates. Also SUCH good news to hear the flock have settled down after the sad losses of last year. I will keep my fingers crossed for you all.